I don’t set out to make work about any one particular thing. In fact, I try to stay well away from infusing inherent meaning into my work, instead allowing my art to be a playground for my imagination. My themes are primarily metaphysics, transhumanism, science fiction, and horror. I rarely analyze the psychological origins of my work – it just is. I like to leave interpretation to my audience and allow their imagination to play, too. In this way a piece becomes interactive, as I have pre-emptively illustrated a story authored by the viewer. Process is important to me. Almost all of my work is done digitally in 3D modeling programs and finished via a digital paint or image editing program. 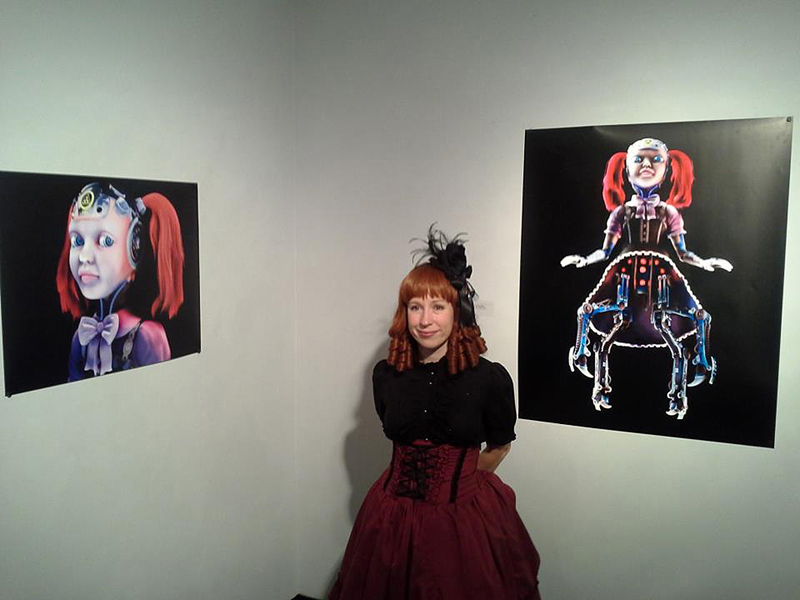 It is meant to be seen primarily by digital means, though I also do 2D and 3D print work. Every piece is a learning process, and through that process, I evolve as an artist.